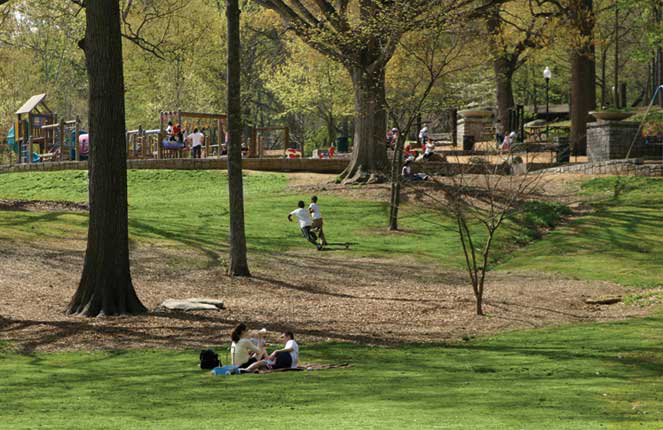 Trees Atlanta > News & Press > Community Event > Help Us Plant a Forest in Chastain Park! Help Us Plant a Forest in Chastain Park! Plans are underway for a Members’ Woodland to be part of the new playground and path projects in Chastain Park. The grove of up to 200 native specimen trees- including oaks, elms and dogwoods- will honor all those generous and forward-thinking people who have contributed to Trees Atlanta’s efforts to preserve and expand Atlanta’s tree canopy. During this special campaign Trees Atlanta is inviting you to give specifically to our Chastain Park Woodland project. Our goal is to plant 200 trees for 200 gifts. Donors will also have the chance to be a part of the grand installation of the Members’ Woodland at a special volunteer project to be scheduled this winter. We will be sure to send you notice of this project so you can reserve your shovel in advance!